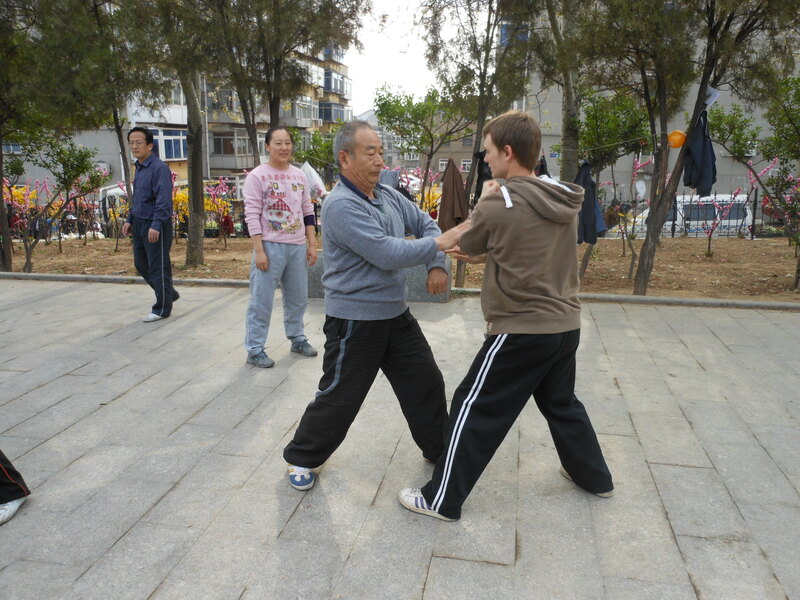 I have trained martial arts for over ten years now, in Britain, China, Hong Kong and South Korea. I’ve been lucky in that I have had a lot of unique experiences and have really learnt a lot in my time studying martial arts. I want to share a few of the benefits I feel that I have gained from my training. 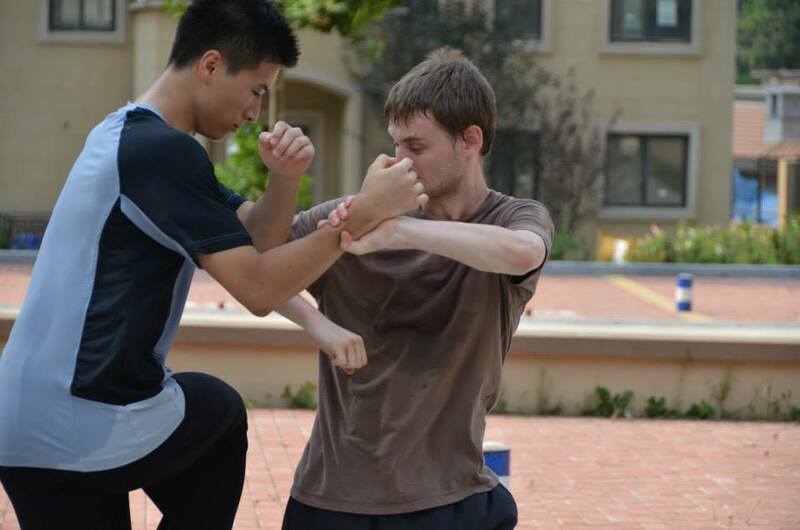 Martial arts has helped me go from a shy, quiet and geeky teen to a strong, confident and assertive person. Martial arts training is constantly forcing us to step out of our comfort zones to develop. It’s only through stepping out of our comfort zones and confronting things we fear or dislike that we can develop. 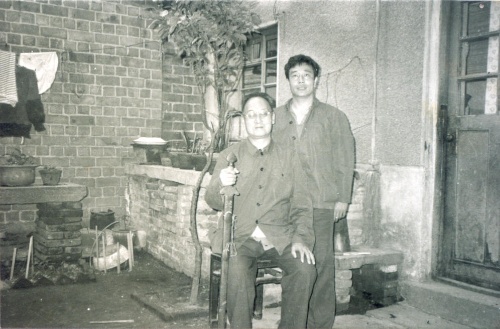 I remember during my teens I had trained Wing Chun in the UK, and I had spent three years at a pretty poor school. Constantly training within my comfort zones and never being pushed I thought I was pretty good, until one day I decided to visit another club. The teacher there asked me what level I was and I arrogantly told him I was advanced. His reply was “great, so you can train with my senior students” and that night I took my first beating, and realised I had wasted a lot of time and money at the first school. 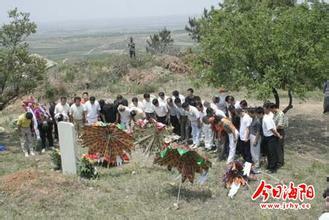 I decided to switch to that school and spent about six months there before I moved to China. I learnt more in that six months than the three years previously. Most importantly, I learnt how to train. That teacher always encouraged us to push beyond our boundaries, and it was that attitude I took to my training in China, which helped me gain the respect of the teachers I met, and to improve quickly. In fact, this attitude applies to all things in life, if we always stay in our comfort zones, we never truly grow as people or achieve our potential. It’s through pushing our boundaries and stepping out of our comfort zones that we develop confidence. We find ourself doing things we never thought possible. Whether it’s overcoming the fear or taking a punch in sparring, or overcoming the pain barrier of holding the “horse stance”, it’s all training which we can carry over into our daily life. The knowledge that you can effectively protect yourself also gives you an air of confidence which others can pick up on, and so you are less likely to be perceived as a possible victim. 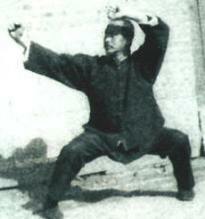 Kung fu literally means “skill accumulated through hard work”. You will not get results without “eating bitter” as the Chinese say. 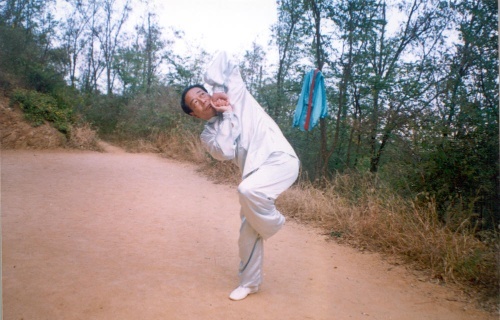 When I first met my Shifu, Zhou Zhen Dong, he asked one senior student to teach me the movement “one step three punches”, and then they just left me alone. I spent the whole night just going up and down repeating this one movement without stopping for a break. I was taught a movement a day and we would train twice a day, and I would just repeat whatever I was taught over and over. After a couple of weeks, Zhou Shifu took notice of me and said he was impressed. However he also told me that it was easy to persevere in the short term, but not many people could continue to persevere long enough to really get “kung fu”. Fortunately, I did persevere, and after three years, I was rewarded by being one of very few people to be accepted to be his formal disciple. Perseverance is the key to succeeding at most things in life, and in our modern fast-paced life, we are always looking for a quick fix. This is a big difference from how the old masters grew up, in a society with very few distractions where they only entertainment they had was to train. It’s a pretty obvious one this one, exercise is good for your health, and martial arts is exercise. However I feel that martial arts takes in one step further, as it combines all different aspects of exercise, such as strength, fitness, flexibility etc etc and on top of that has internal training which relaxes you and helps you attain a state of inner calm. Certain internal exercises are also considered to be beneficial to improved blood circulation, stimulation of the internal organs and various glands in the body. After training martial arts for a while I began to notice that I felt a lot better in myself, I was much stronger and had better posture. Through stance training and forms practice you become very aware of your posture, and areas of tension in the body, which lead to various pains and problems. Martial arts is basically training to fight, so it is common sense that you should learn to be able to fight. It is a common problem nowadays, as we know, that many people who train in traditional martial arts are unable to use what they learn. The techniques found in martial arts have been developed over hundreds, if not thousands, of years so that people may protect themselves, and so there is a rich pool of knowledge to draw from. The problem, however, is that many people train incorrectly and don’t spar or train against resisting opponents. In the traditional method of learning Kung Fu, you would begin by learning a technique as a solo movement, until you get the form perfect and the power crisp, and then will progress to training it on a compliant partner, and then gradually increasing intensity until you are free sparring. 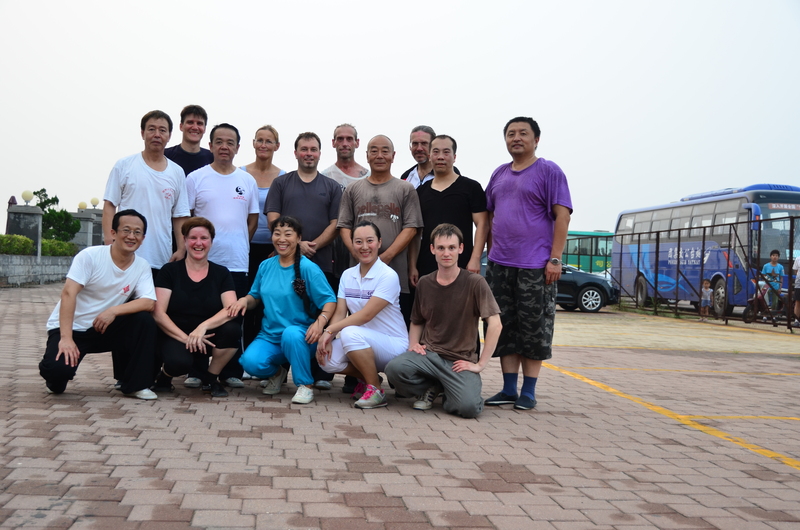 Throughout my martial arts training I have been lucky to make friends from all over the world, and all walks of life. Training in different schools in different countries has enabled me not only to improve my martial arts, but also to immerse myself in the local culture and learn about the customs of different people. 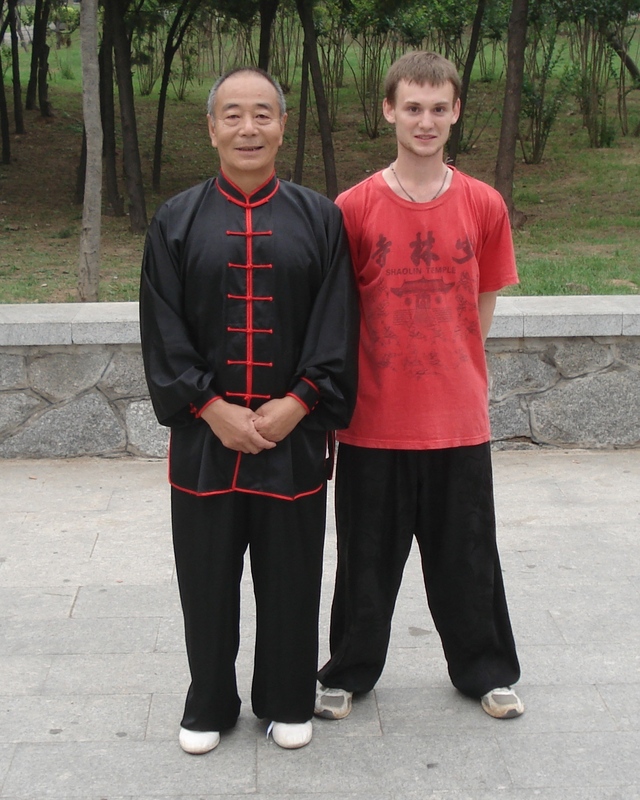 Through being an active member of online martial arts communities, I have made many friends from all over, and have even been lucky to have a place to stay and a local guide when travelling to a new country. It’s always a pleasure to get together with new people, share experiences and cross hands. 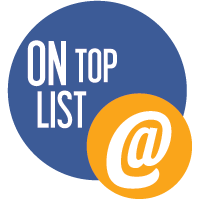 Almost everybody has heard of Taekwondo and Hapkido these days, but Taekkyon, the original indigenous martial art of Korea, is almost unheard of. 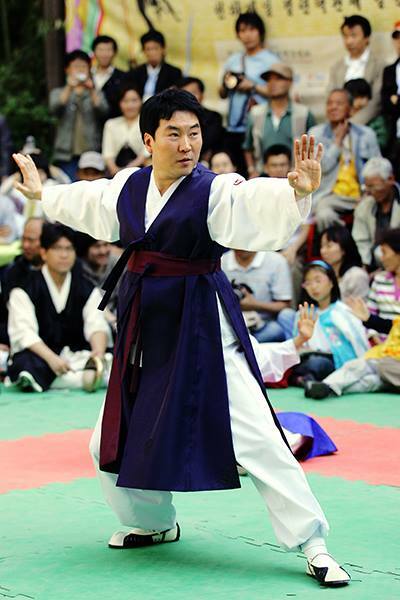 Almost wiped out during the Japanese colonisation of Korea, the art is now making a revival, and is listed both as a national treasure of Korea, and is the first martial art on the UNESCO intangible cultural heritage list. The history of Taekkyon goes back to the mid Joseon Dynasty, around the 1700s, where it was practiced as a competitive sport with a winner-stays-on type rule set. 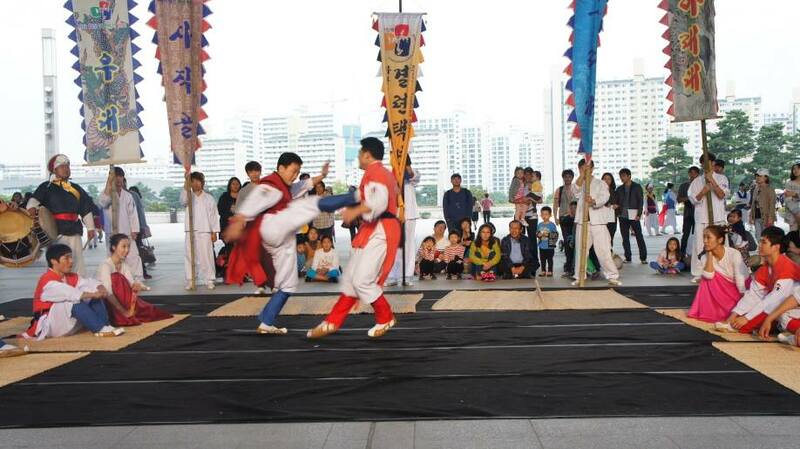 It is believed Taekkyon evolved out of an even older, but now lost art called Subak. Little is known about Subak, but it is believed that it may have been the martial art of the Hwarang warriors of the Silla Dynasty (57BC-935AD). 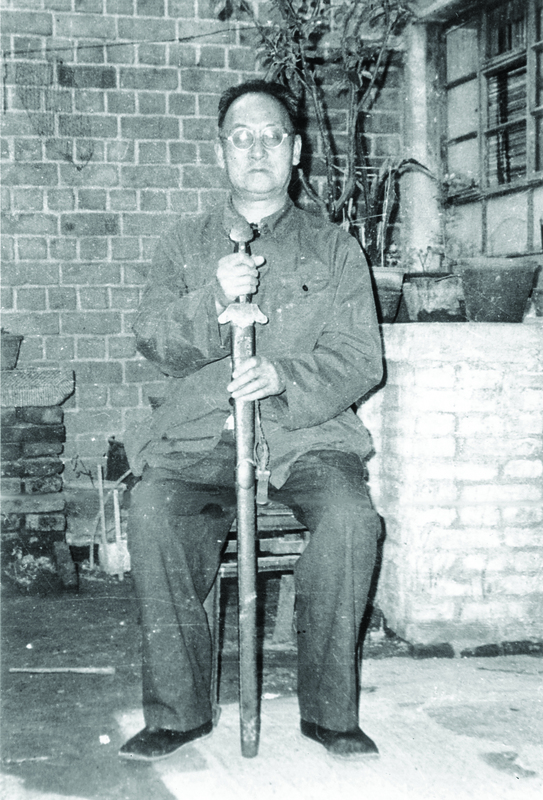 During this time martial arts were reserved for the ruling class, but after the fall of the Silla became popular among common folk. During the Joseon Dynasty it fell out of popularity among the Yangban elite, who thought that educated people should stay away from martial arts and focus on scholarly pursuits. It was probably around this time that the competitive “game” version evolved as a game for the farmers and peasant classes. During the Japanese occupation, the art almost died out, but one man kept the art alive; Song Duk Ki. He is credited with reviving the art in modern times. 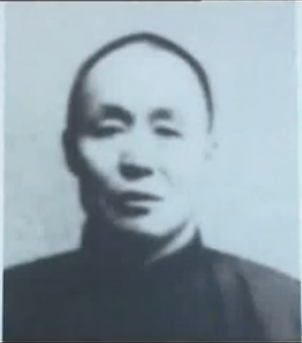 Song Duk Ki was born in 1893 in Seoul. 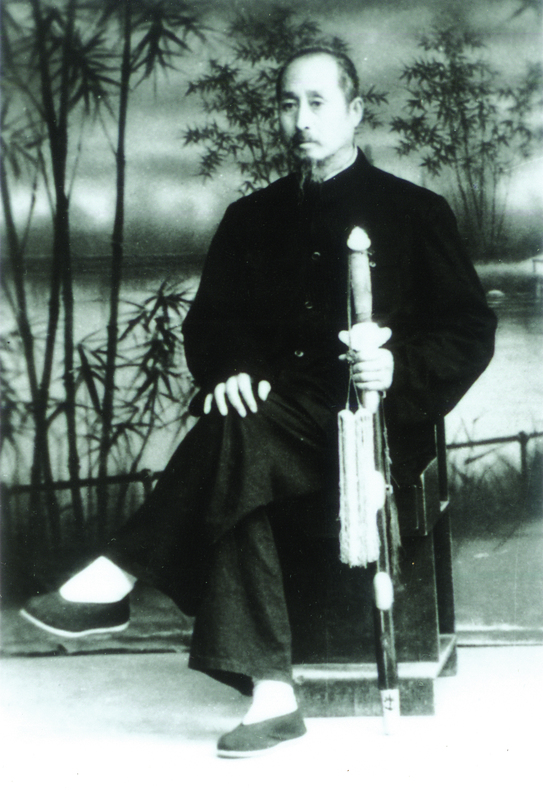 He began training at a young age, under Master Lim Ho, of the Widae style. 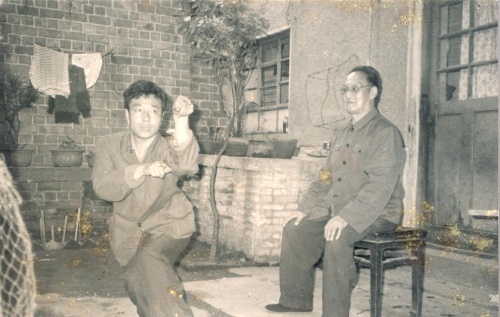 During that time many young people practiced Taekkyon, and there were two main styles: Widae, which was practiced by people in the city centre, and Ahratdae, which was practiced by people on the outskirts of the city. Big competitions were held between the two styles and rivalry was fierce. 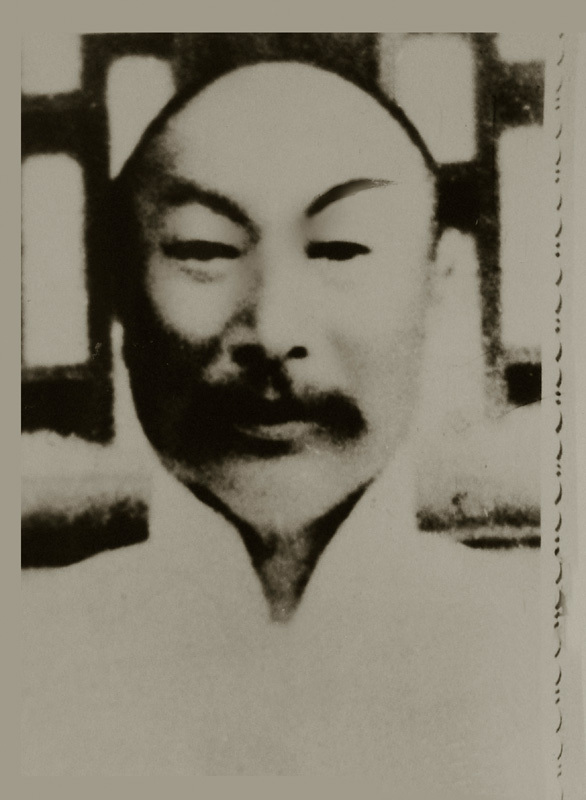 Then, after the 1910 Japanese invasion of Korea, Song Duk Ki changed his focus to Gung-do (Korean archery), one of the few arts not shunned by the colonisers. 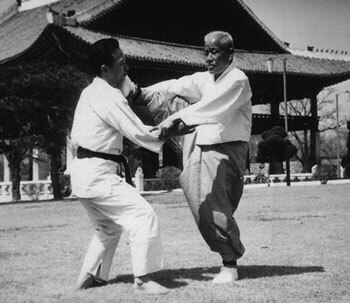 He continued his Taekkyon practice in secret, and after the surrender of Japan, he began to promote the art, gaining the rank of a “national living treasure” by the South Korean government. Taekkyon has both a competitive, game-like version, and a combat version. The game, which is called Kyulyun, was played where two teams gathered, with a winner stays on format, until one team was completely wiped out. This game had a dance like feel, as players stepped around each other while drums were played. Players had to either throw the opponent, or kick them in the head. Like modern day sports martial arts, a player could tap out to surrender. The ring was often made by laying down straw mats, but could also be on dirt or grass. The largest competition would typically be held on the 15th day of the 5th lunar month, which was called Tano, which also held Ssireum, Korean wrestling, tournaments. There was no prize, but the winner would be treated as a hero by both sides. 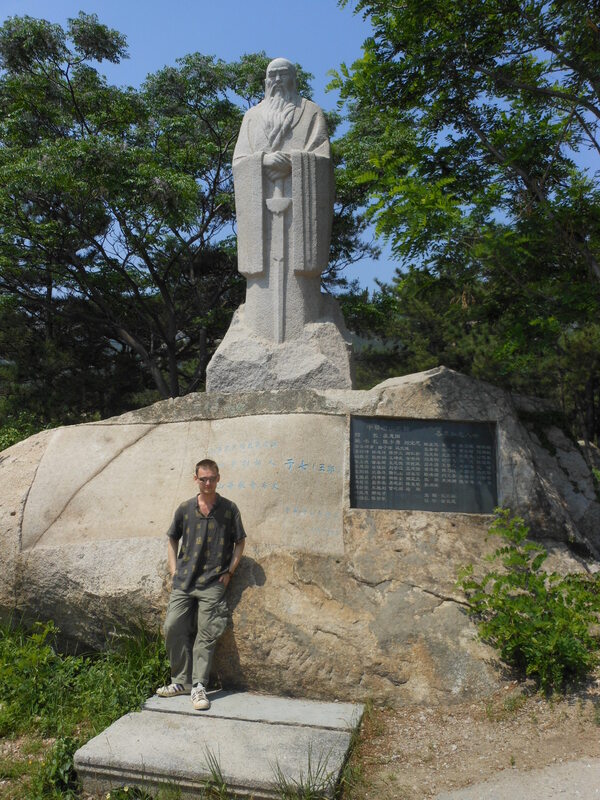 It is said the focus on kicking techniques in Korea is due to the mountainous terrain; people had naturally strong legs from spending so much time climbing hills. As far as combat, similar techniques are applied as in the game. The main difference however is the target areas and the power used. Pressure point techniques, eye gauges and locks are also common. The rhythmic steps and constant motions of the hands distract the opponent, setting up for a kick or sweep. 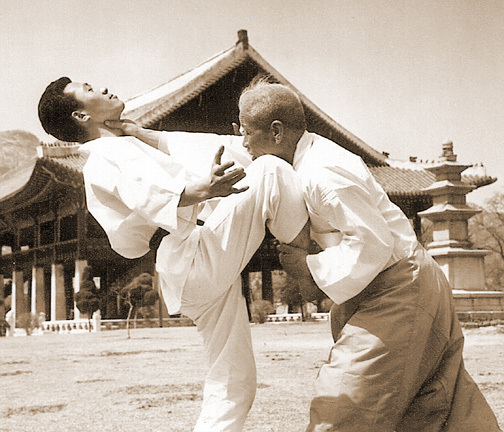 Unlike taekwondo, flying or spinning kicks aren’t often used, rather, low kicks to the shins or knees, sweeps and trips, and direct push kicks to the body are more common. A typical Taekkyon class is very different to conventional martial arts: there is no warm up or stretching as such, rather, the class begins by practicing stepping patterns in a dance-like rhythm to traditional Korean music. The stepping is done in a triangular pattern, based on the Chinese character 品. Strikes and kicks are added in, as well as patting of the body and clapping to stimulate blood flow. This is all done in time with the music. Sparring is taught within the context of the stepping patterns. Opponents square off and step in time with each other, constantly changing feet and seeking an opportunity to sweep or trip their partner.